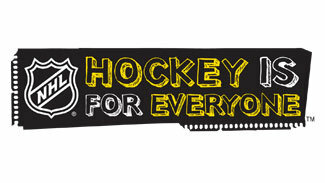 "The Hockey is for Everyone initiative gives young people the opportunity to be introduced to hockey – an experience that can act as a catalyst in building character and developing life skills through the lessons learned on the ice," said Commissioner Bettman. "Through our partnership with the Thurgood Marshall College Fund, we are extending our commitment by helping young men and women achieve academic excellence at institutions of higher learning." "We are excited to have teamed up with the NHL on this initiative and to present the first two scholarship recipients with an opportunity to pursue their college dreams," said Thurgood Marshall College Fund President and CEO Johnny C. Taylor Jr. "Sports, like hockey, coupled with a great educational foundation prepare students to become the leaders of tomorrow." Lucas, 18, is a goaltender with the Ed Snider Youth Hockey Foundation Midget 18U travel team in Philadelphia. He was introduced to hockey in 2009 via the Simons Recreational Center in the Mt. Airy neighborhood of Philadelphia after the center's rink was renovated and expanded to a year-round facility courtesy of the foundation's partnership with the city of Philadelphia. Lucas has committed to attending Penn State in the fall. Shaw, 17, is a forward and defenseman with the Fort Dupont Ice Hockey Club's Cannons team in Washington, D.C., and has been with the program since 2005. Although his passion is hockey, Shaw has found success in track and field, basketball and swimming, and aspires to pilot the Globemaster aircraft for the U.S. Air Force. He has been accepted to Elmira College in Elmira, N.Y., and hopes to make the junior varsity Soaring Eagles Hockey NCAA Division III team. Under the direction of Commissioner Bettman, who serves on its board of directors, the NHL/Thurgood Marshall College Fund scholarship was developed in 2012 from monies raised from the annual Congressional Hockey Challenge, the charity hockey game pitting members of Congress and staff against registered lobbyists. To date, through the Congressional Hockey Challenge, more than $250,000 has been raised in support of the scholarship. This year's Congressional Hockey Challenge will take place on April 27, 2013, at Verizon Center in Washington, D.C. For more information on the event, please visit congressionalhockeychallenge.com.